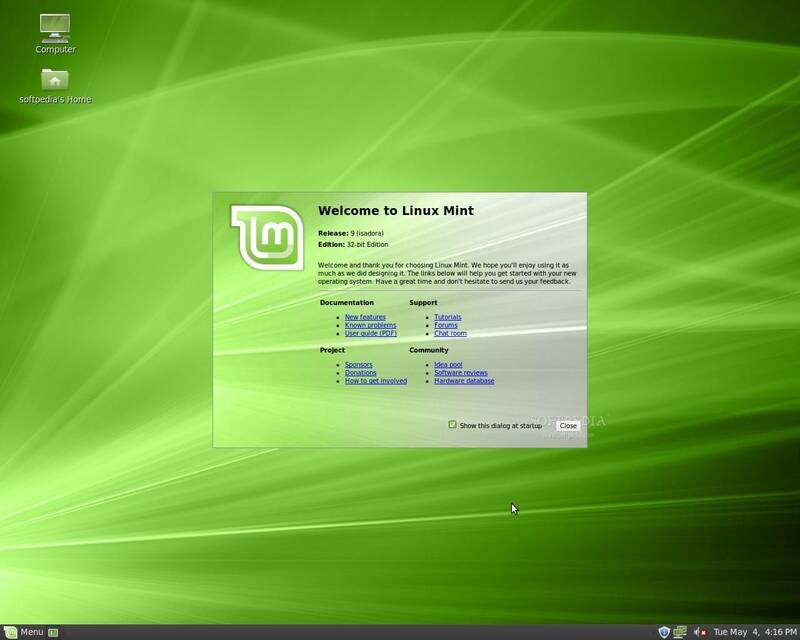 I am something of a Linux Mint fan, as previous reviews of Mint 5 ('Elyssa') and Mint 7 ('Gloria') will show. It's a good Linux distro for Windows migrants, thanks to the well-presented and well-described GUI utilities and Windows-like menus. The green-and-black livery evolves each release and gives Mint a cosmetic gloss which I think is very smart and corporate without being too intimidating. There's a good selection of new background artwork keeping this going. I downloaded the Linux Mint 9 ('Isadora') Release Candidate ISO (as at 11 May). I'm not intentionally skipping to the odd-number releases, but it's timely for good bench-mark reviews. It's an Ubuntu-derivative based on the latest Ubuntu 10.04 LTS (Lucid Lynx) operating system, powered by the same Linux kernel 2.6.32.11. As a result, Mint proudly boasts over 30,000 packages in the repositories so you have plenty of software to choose from. This is going to be a Long Term Support Release (LTS), with international distribution (US and Japan may now officially join in). As this is the RC, not final, there's a minor collection of pre-release issues but no show-stoppers. Mint Menu was always a highlight and has received additional options and usability improvements. It opens with Favourites by default. You can now right-click on any application in the menu and select "Edit properties" to change its name, icon, comment or the command to execute - so simple, why don't all menus everywhere work this way? The welcome screen is now rendered as an HTML page with links to the important Mint resources; help, how to contribute and the new Linux Mint Community Website, tutorials, idea pool, software portal and hardware database. Mint Software Manager and Mint Backup have been re-written from scratch, even though I thought they worked well in previous versions. Software Manager's trademarks are asynchronous installation/removal of applications and User Reviews; it updates itself with all the software reviews contributed by other users then sorts packages by the aggregated scores, so that you always see the most popular applications at the top of the list. Update Manager has a better look and functionally handles more error scenarios, so there's no more alarming 'broken lock' icon when Synaptic is running or when off-line. The default software selection - P7zip, Gwibber, apturl and Startup Manager - are now installed by default and there's a local repository (under /usr/share/local-repository) containing firmware for wireless adapters and Gnome-PPP. You can add packages to it and update the repository by running the ./update-repository script in /usr/share/local-repository, so I'm going to try this and see if it's as useful as it sounds. Mint Backup is an easy and powerful tool to easily backup and restore your system, fully selectable by backup type, source and destination. 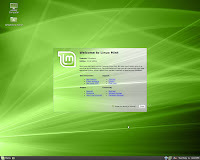 It's unique selling point is the Software selection; Mint Backup can identify the software packages you installed in Linux Mint and save this selection as a list in order to restore that selection of software on a different machine or after the installation of a new version of Linux Mint. Windows Wireless Drivers - Ndis Wrapper driver installation tool; excellent idea for those with older or obscure hardware. Firewall Prefs - front-end for UFW firewall preferences . Mint Nanny - Domain Blocker - provides a basic 'parental controls' interface for parents to prevent their children from accessing certain websites. Relatively easy to set up in M$, this feature doesn't really exist in Linux. The packages there are packages usually require the use of a proxy and it’s complex to configure. Mint Nanny is a small, compromise, graphical interface which lets you “block” domain names by adding an entry to your /etc/hosts file and defines that domain’s IP address as being 0.0.0.0, resulting in your computer not being able to communicate with the domain anymore. It's not fool-proof or especially obvious how to use. There's no browser integration I can find. Mint Upload - Upload Manager - as soon as I find out what this is good for, I'll let you know.